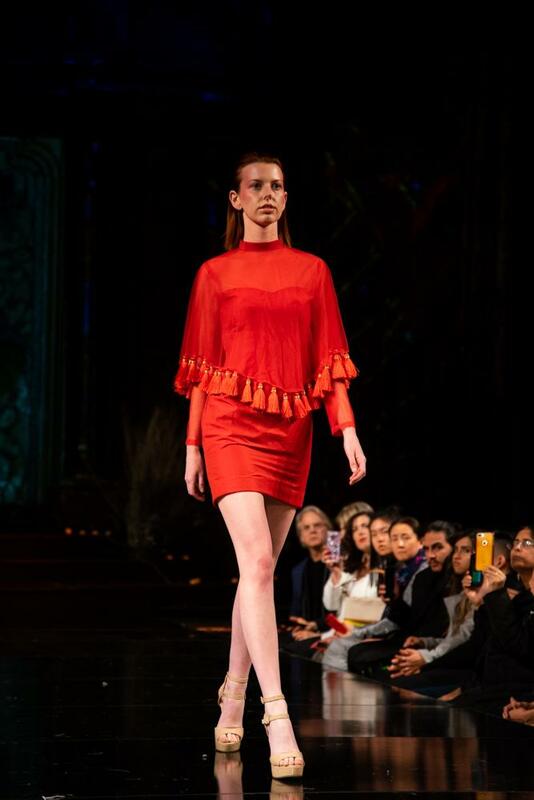 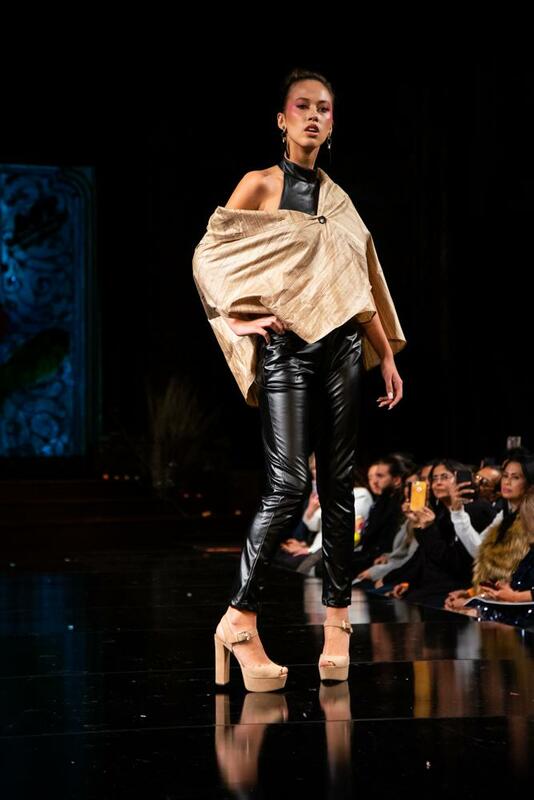 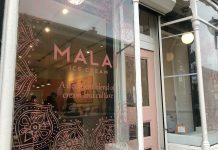 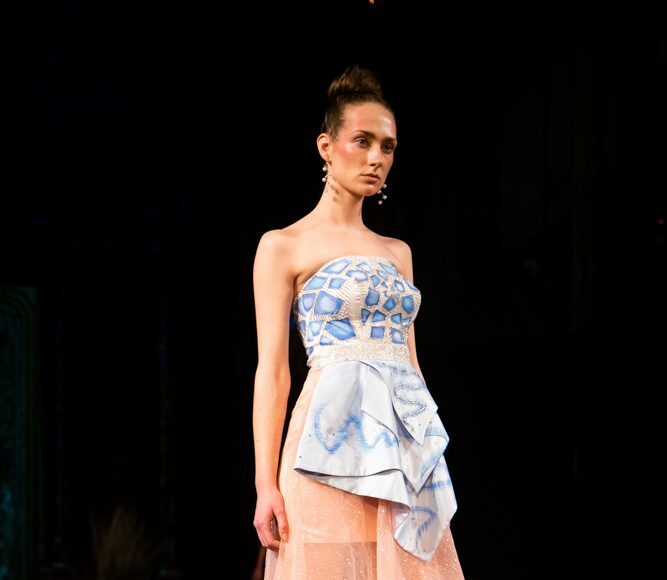 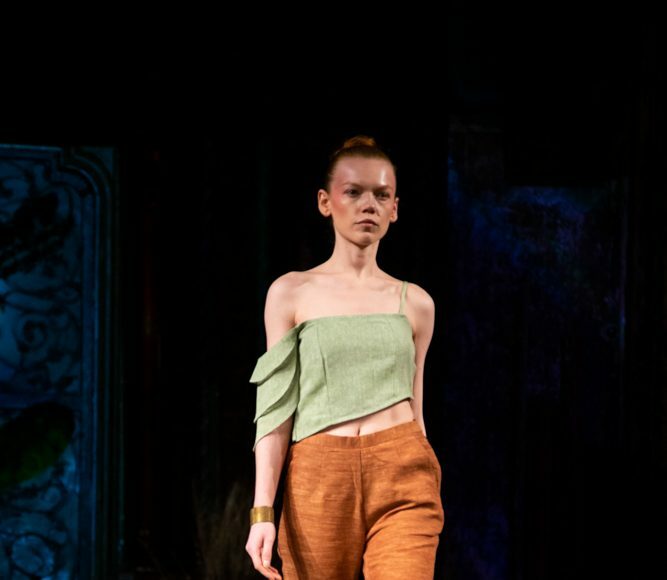 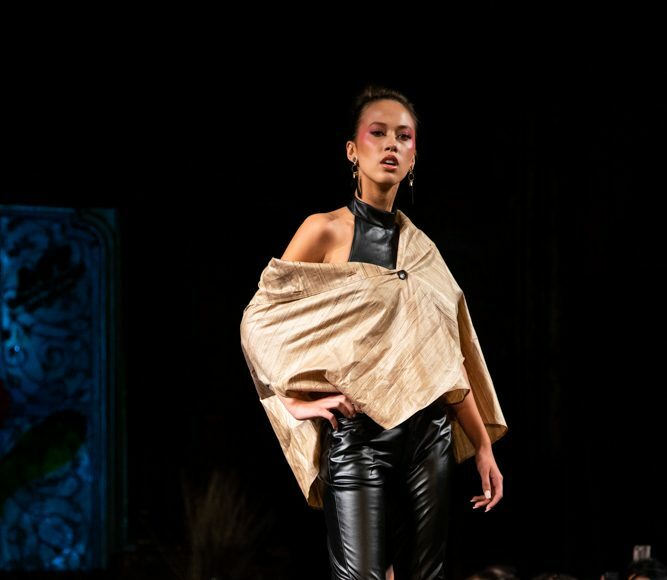 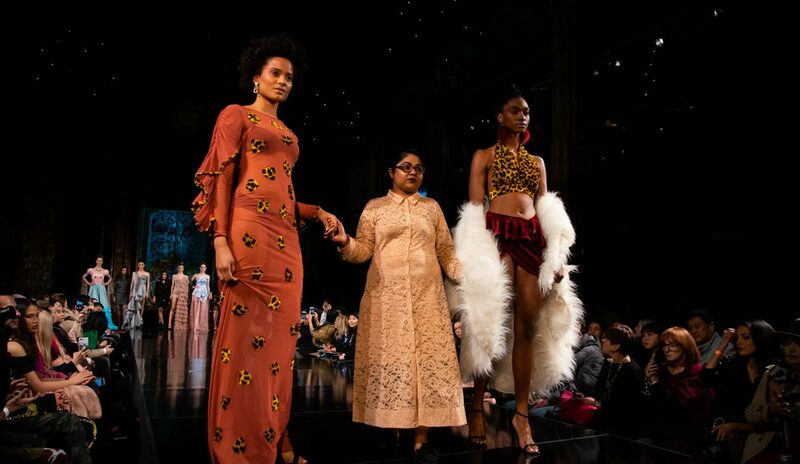 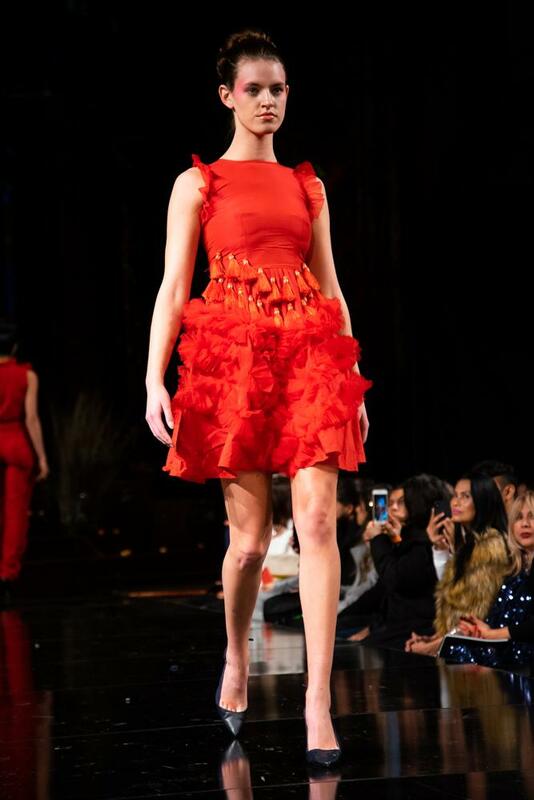 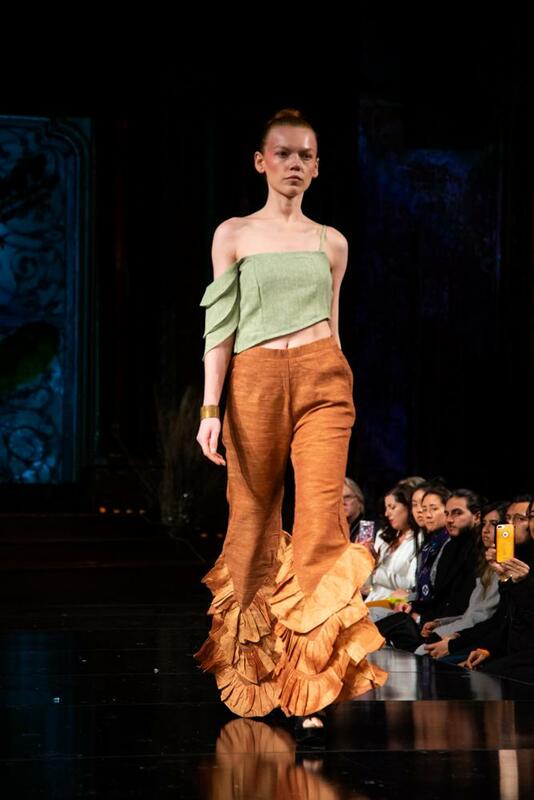 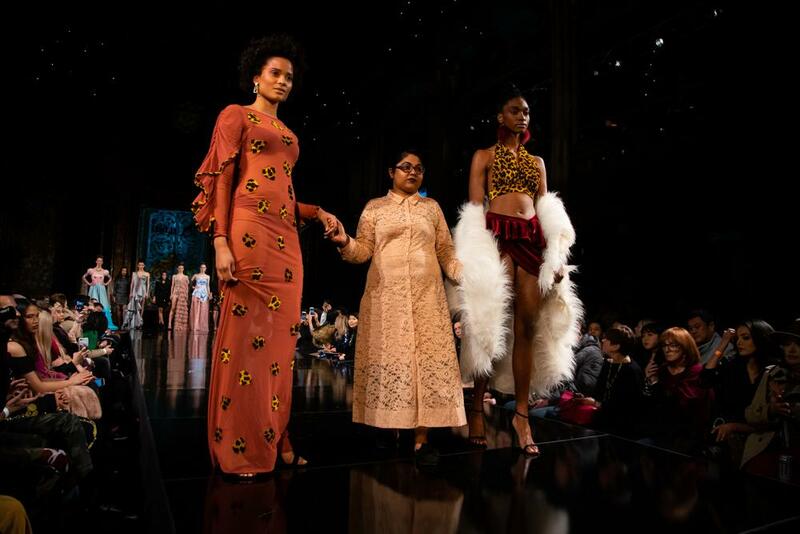 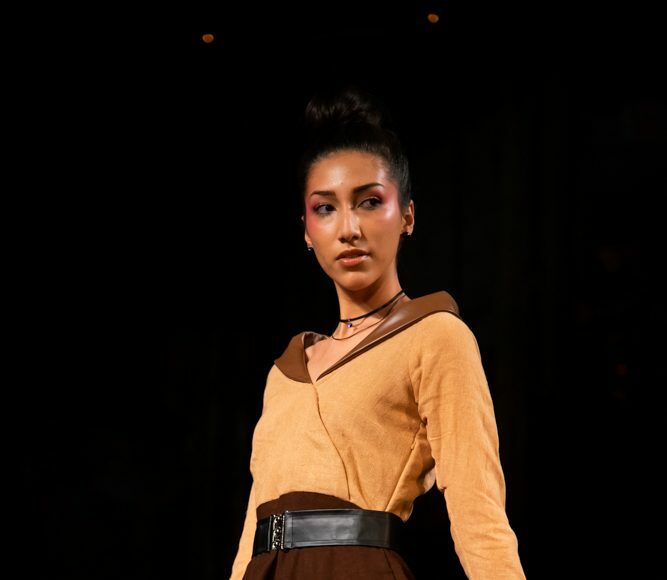 An upbeat tune signaled the start of the Design Dreams collection, carefully created in the minds and by the hands of eight Indian up-and-coming designers. 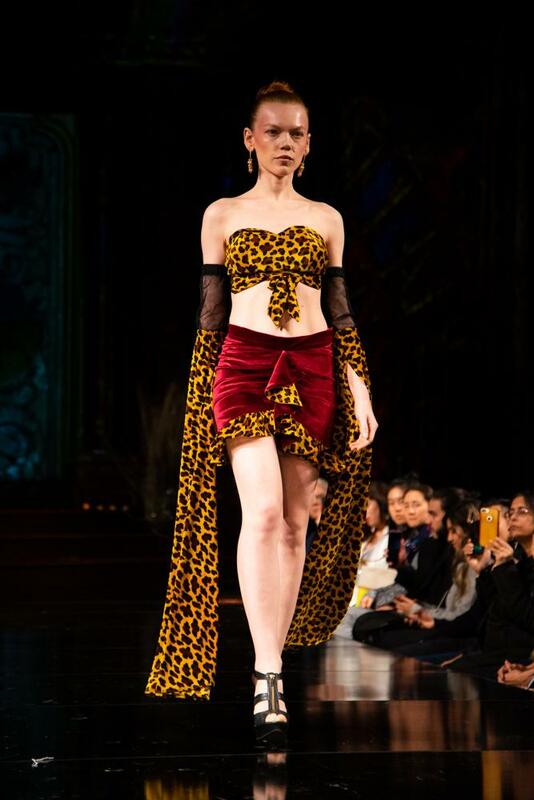 The Romantic collection was described as encompassing “the passion, adoration, feeling of excitement which arises out of being madly in love.” The use of velvet, chiffon and cheetah print captured the passion and sensuality of love. 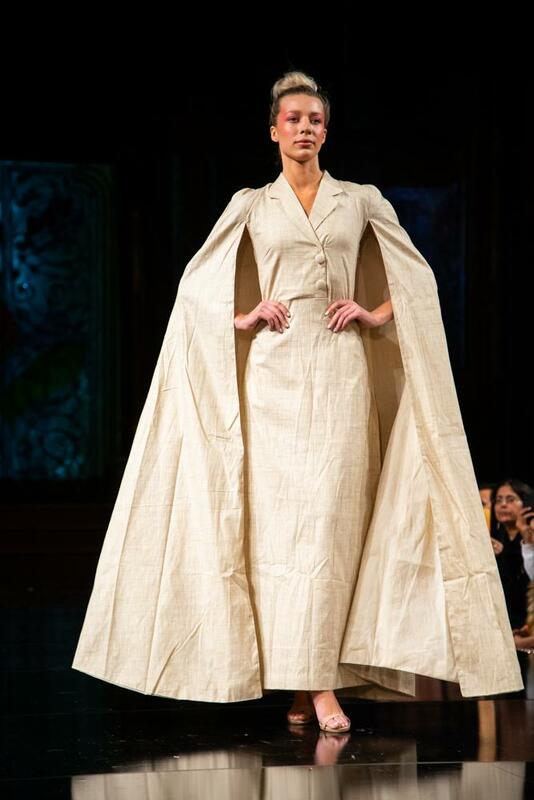 Meanwhile, the asymmetric use of color, and fabric hinted at the often fluctuating nature of love. 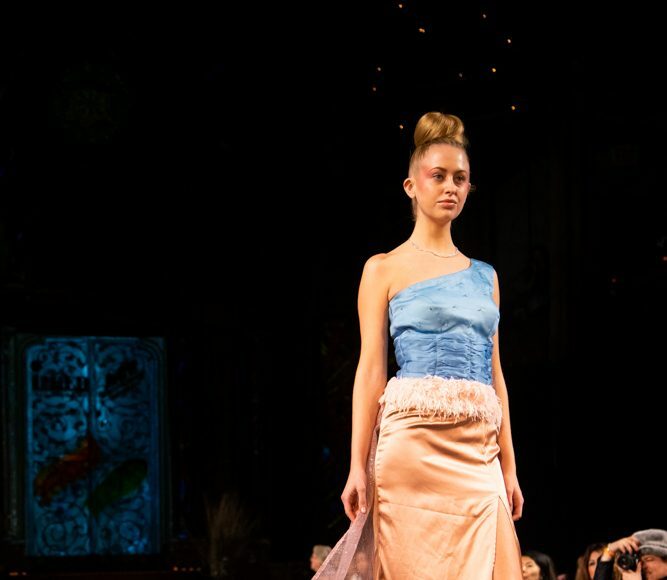 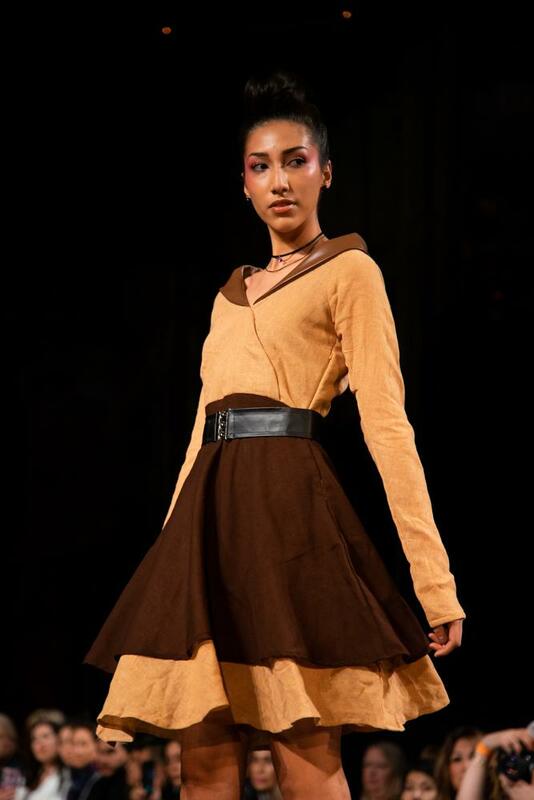 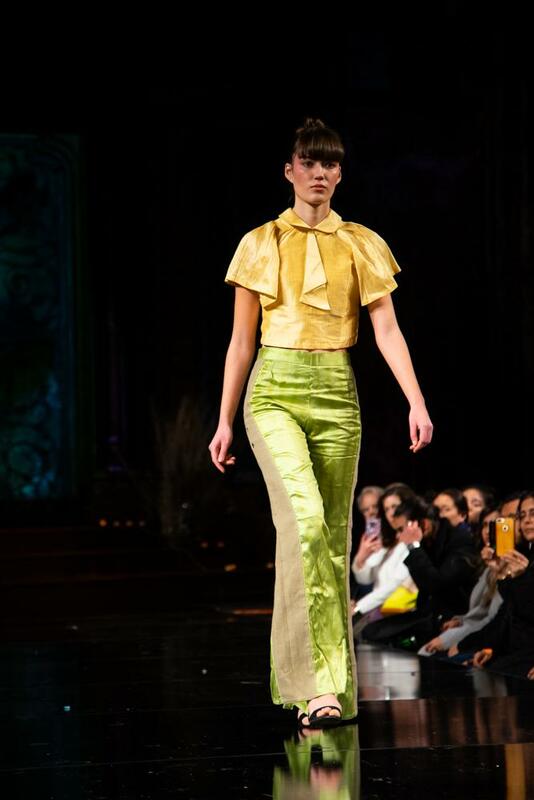 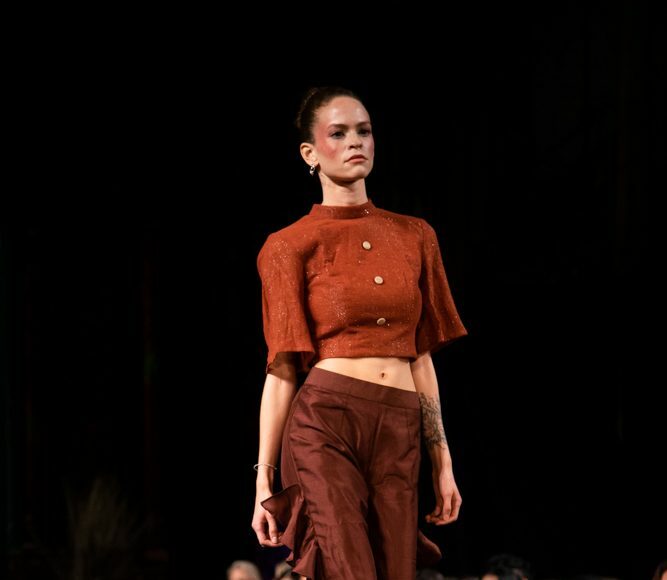 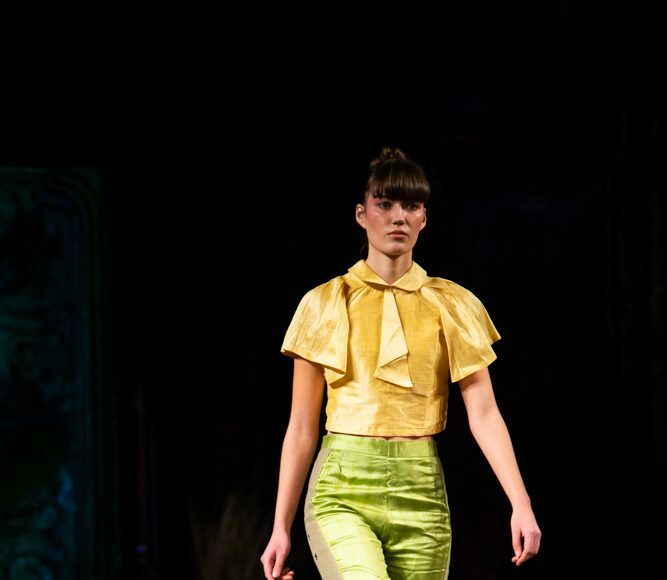 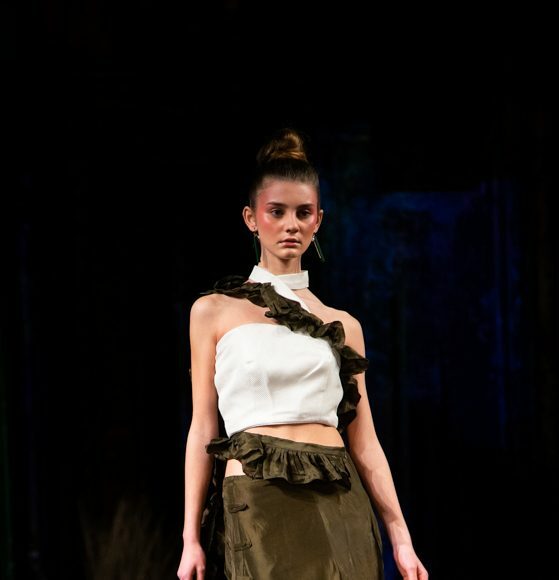 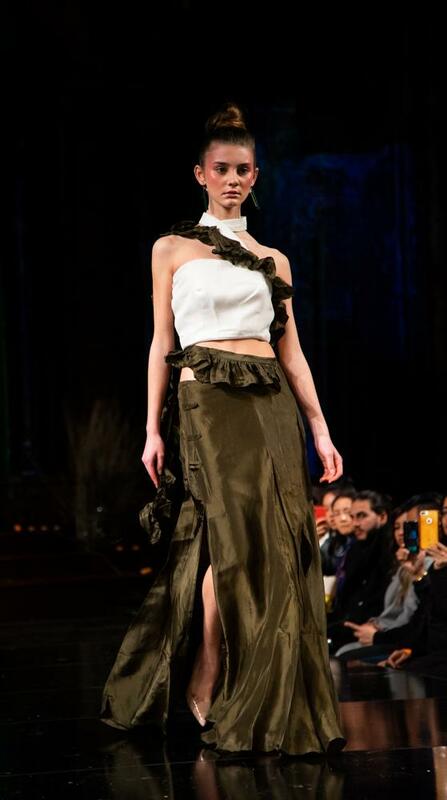 The Mystery collection was more cohesive with a color palette of earthy tones. 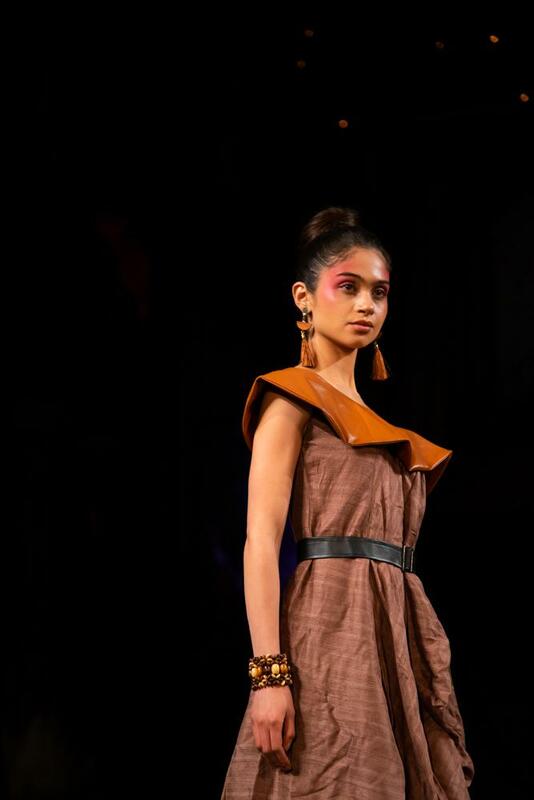 The different fabrics used of khadi, jute, leather and silk created contrasting yet blended silhouettes. 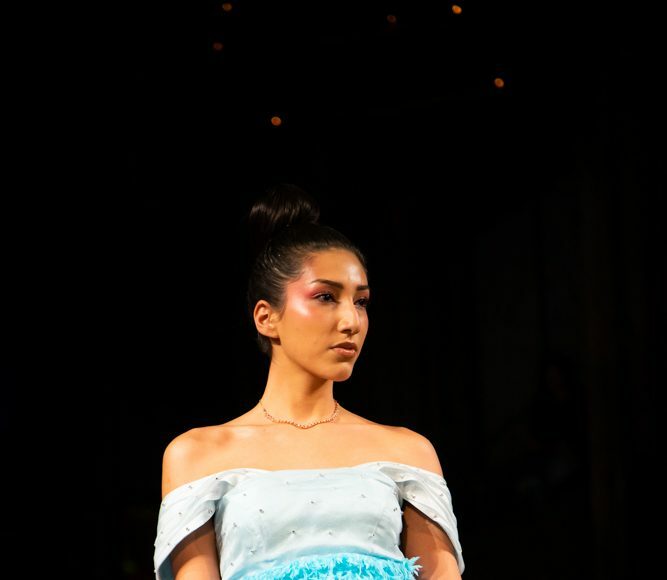 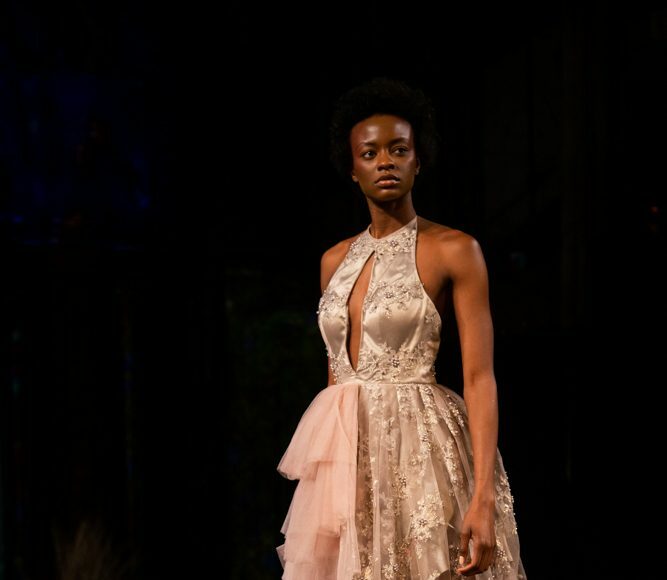 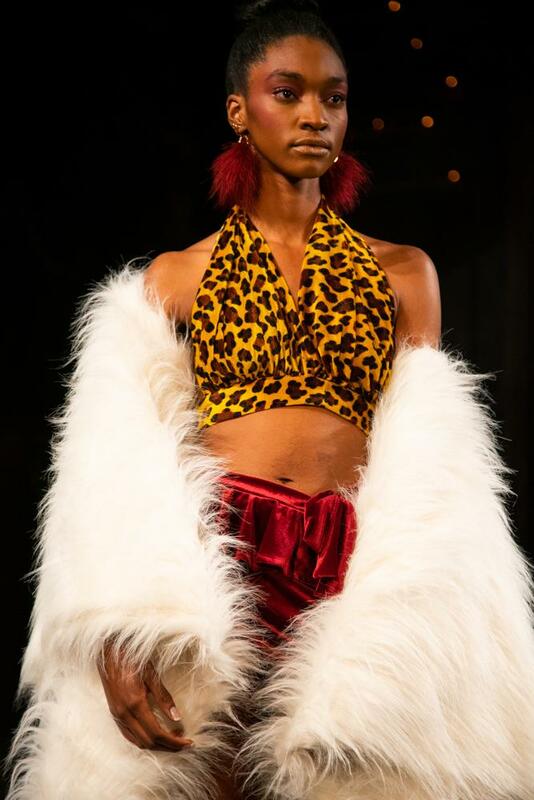 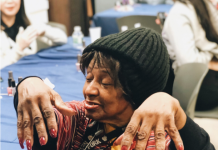 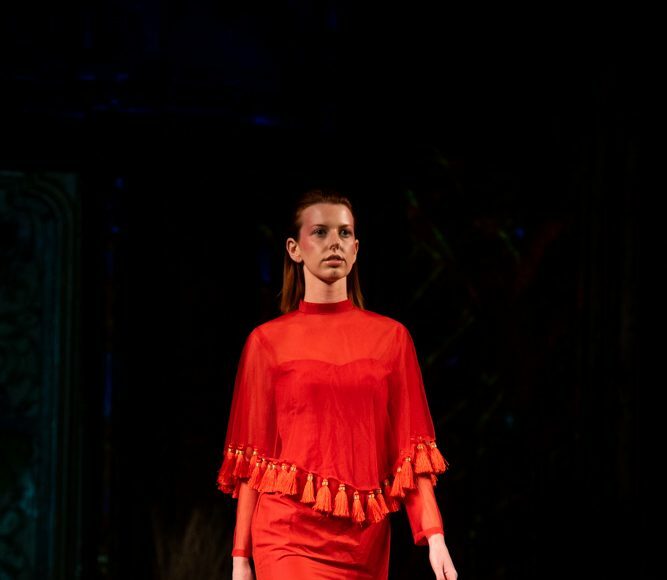 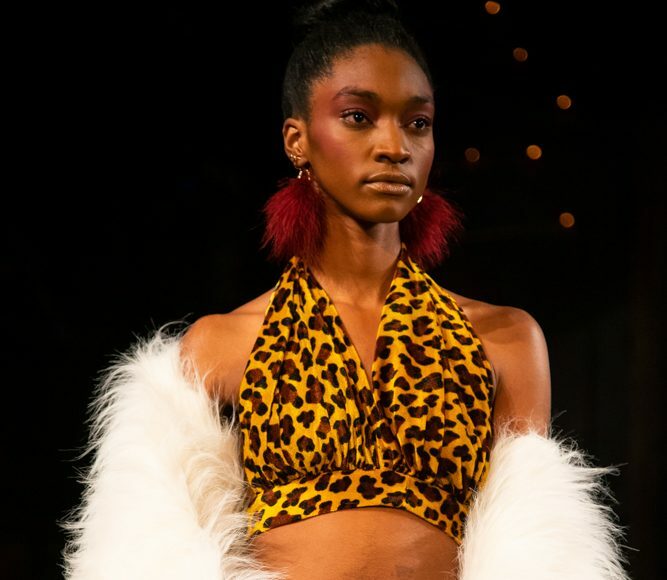 The attention to detail was especially praiseworthy, as each look was carefully curated and accented with various pieces of jewelry, including golden bracelets, geometric earrings and layered chokers. 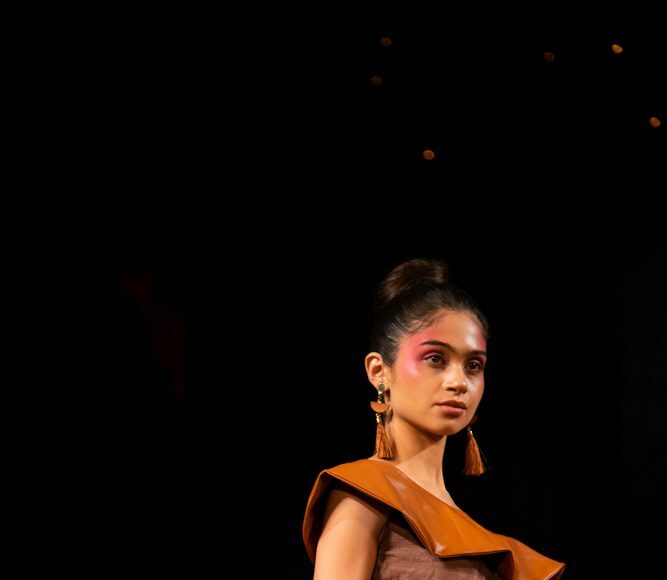 All of the models wore a top bun with ’80s-inspired makeup featuring plenty of blush, a pairing that worked surprisingly well with both of the distinct collections. 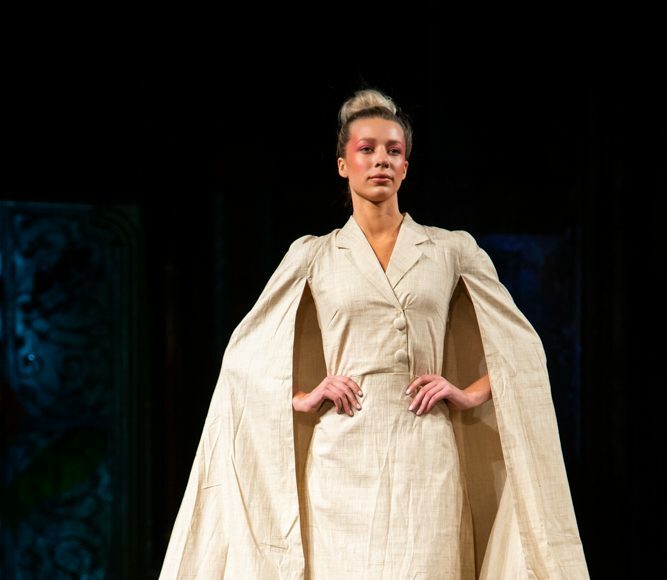 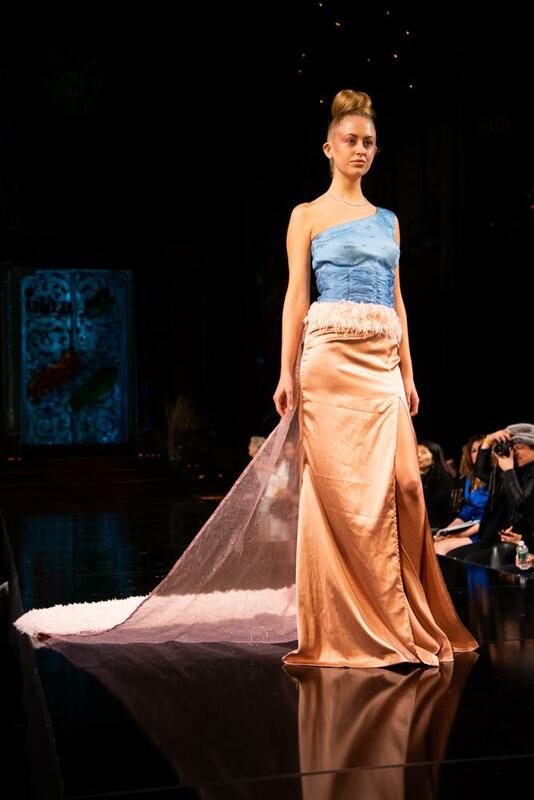 The two-part Design Dreams collection showcased pieces that exhibited each of the designers’ unique interests and techniques while ascribing to the two themes of Mystery and Romantic.